***NEW! *** South Hill Designs Summer 2014 New Products Oval Locket and Locket Ring! South Hill Designs Cute Jewelry is proud to announce new products for 2014! First up, you loved our unique, Signature Leather Wrap Bracelets that you asked for more colors, and we delivered! They are available for pre-order now, and will be available mid-January! Choose Metallic Silver and Metallic Champagne to add to your collection! 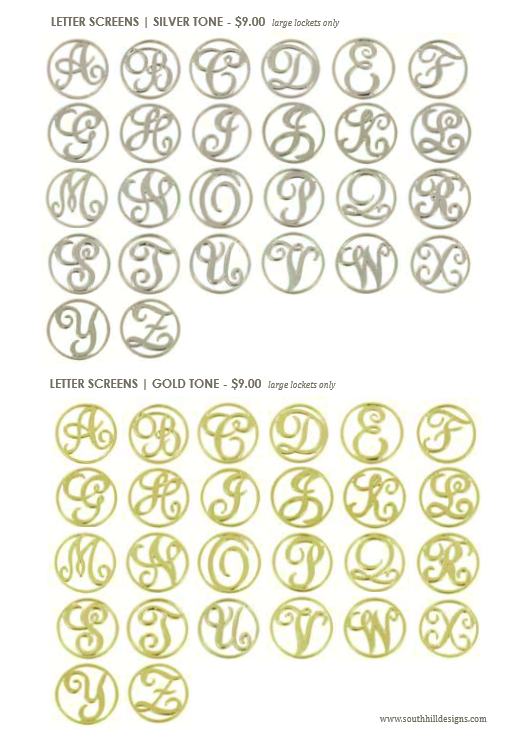 Also, we will be introducing BRAND NEW Monogram Style Letter Screens as backgrounds for your Large Floating Glass Lockets! Choose from Silver or Gold. Gorgeous! I don't know about you, but I hoped to some day have MEDIUM sized screens for my Medium Floating Glass Lockets. I especially hoped to have the South Hill Designs Flower for my Medium Glass Floating Locket. We now have them available! The Gear Screen, The South Hill Designs Flower Screen, The Cross Screen, The Sunflower Screen, and the Nautical Wheel have been sized down to fit your Medium Glass Floating Locket! I can't wait! South Hill Designs Cute Jewelry Large Glass Floating Locket with Swarovski Crystals. 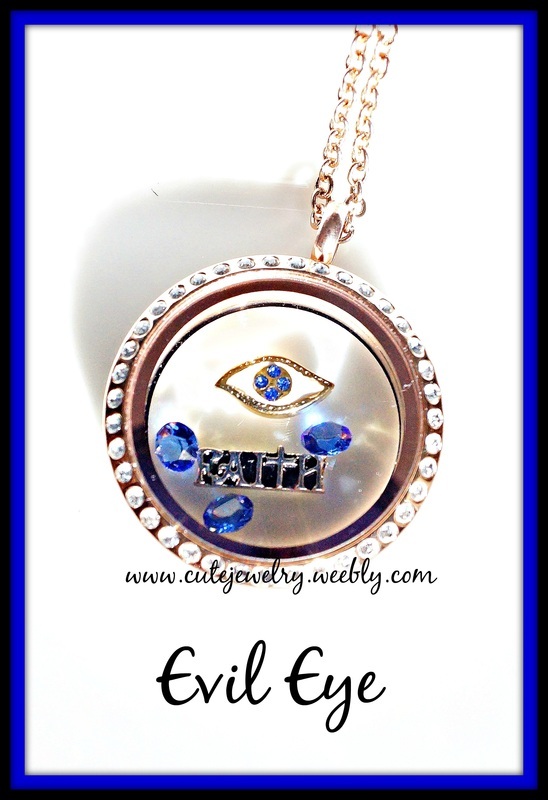 Evil Eye Charm, Faith Charm, and 3 Blue Swarovski Crystals. 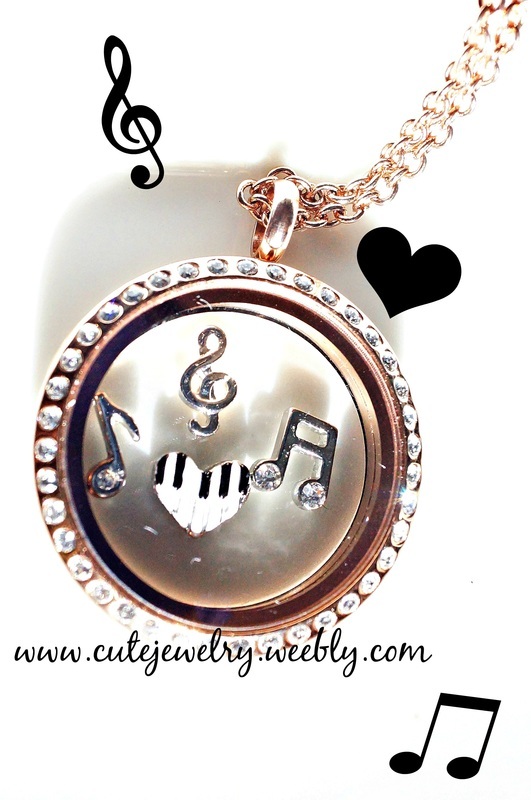 Large Floating Glass Locket with Genuine Swarovski Crystals in Rose Gold. I Love to Read Charm, Rose Gold Open Heart Charm, and Scriptures/Open Book Charm. Iris Floating Glass Locket with Swarovski Crystals. 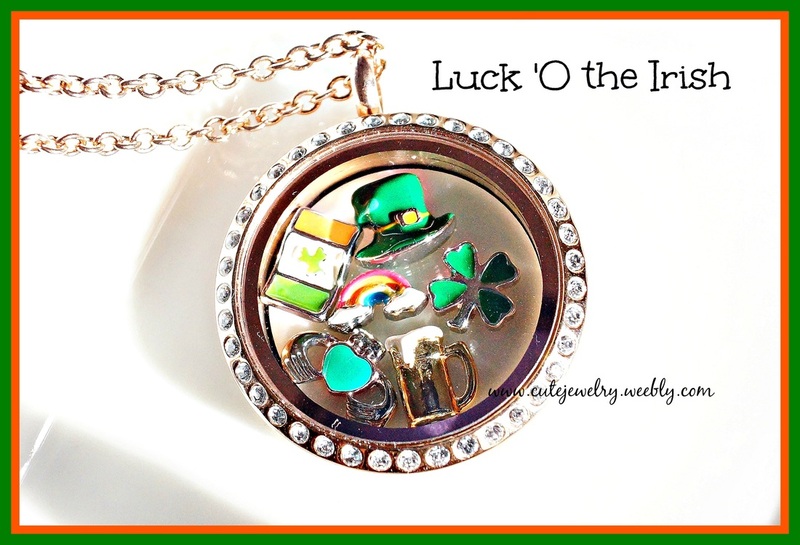 Includes Irish Leprechaun Hat Charm, Irish Flag Charm, Shamrock/Four Leaf Clover Charm, Rainbow Charm, Claddagh Charm, and Beer Mug Charm. Order at www.southhilldesigns.com/cutejewelry! 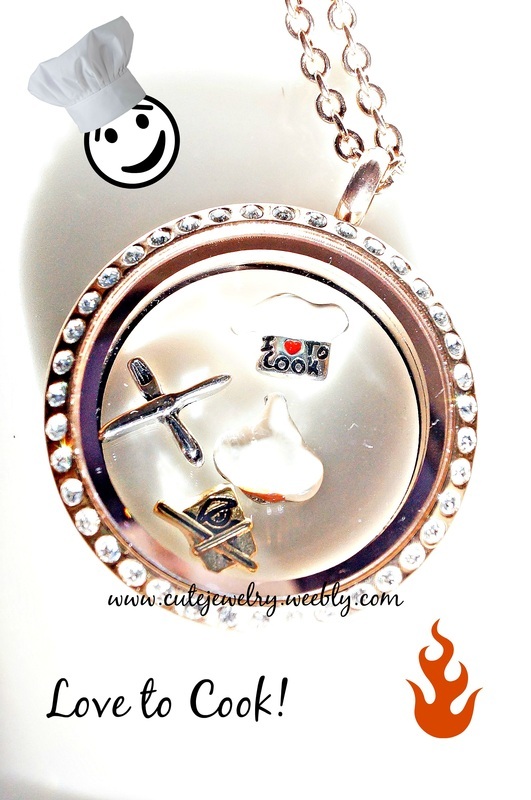 Large Floating Glass Locket for Charms with Swarovski Crystals. I Love to Cook Chef's Hat Charm, Fork and Knife Charm, Garlic Charm, and Chinese Take-Out Charm. Do you love Music? Large Glass Floating Locket for Charms with Swarovski Crystals. Treble Clef Music Charm, 1/4 Quarter Note Music Charm, 1/8 Eighth Note Music Charm and Piano Heart Music Charm. Nature Large Floating Glass Locket for Charms with Swarovski Crystals. Crescent Moon Charm, Sun Burst Charm, Maple Leaf Canada Charm, Compass Charm, Camping Charm and Bicycle/Bike Charm.